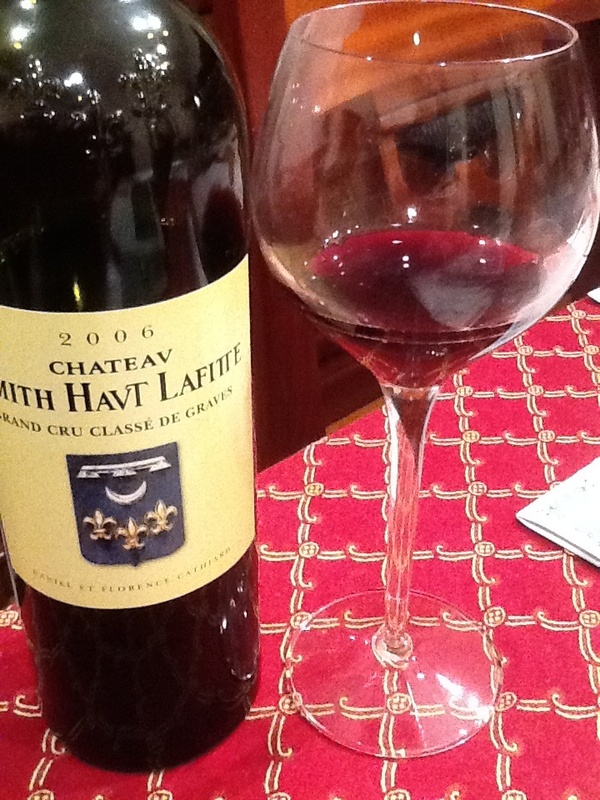 This wine from Pessac-Lèognan in Graves, Bordeaux, France is an unusual and delightful red Bordeaux blend. A dark ruby color with maroon edges, the perfumed nose is dense with plum, blackberry, violet, and tobacco leaf. The mouthfeel is classic old-world Bordeaux, the fruit is pushed to the mid of the palate and the darker, less common elements are featured: cacao, saddle leather, tobacco, forest floor– all in a delightful harmony of full bodied flavor complemented by sharp acid and sweet tannins for an amazing experience and brings to mind a classic men’s club vision of wing-backed chairs, piles of old leather-bound books, nautical antiques and cigar smoke in front of a massive fireplace. This historic and rare wine sells from the mid $70’s to several hundred dollars per bottle online, has been ranked 93 and 92 by two of the world’s top wine experts, and should be at its peak after 2014. It is also a delightful experience right now if you can find it. Recently several direct email wine advertisers suggested I buy a “Tasting Room” set of wines. This is a manufacturer/product, new to me, with an interesting approach. Their angle is to provide mini-bottle sized wine samples as well as selling full-sized bottles to the end user. One of the ads on a Snooth.com email advertised the price drop from $35 to $18 as an introductory offer, I figured I’d take the plunge. 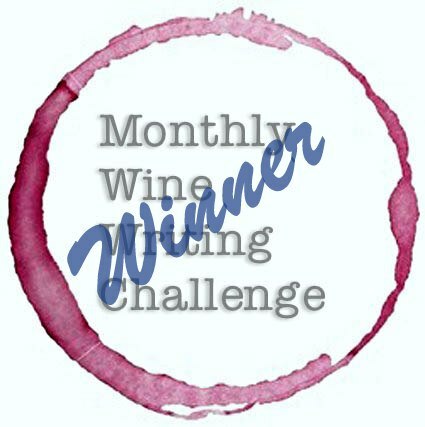 I elected to try the world selection for $18 (plus shipping, total $22.99) which provided me six 50ml (or 1.69 oz) bottles of various wines: two white, four red. A few days later, via UPS ground, arrived a compact box the size of a standard binder but 3” deep. The package seemed solid, and bore a large notice: Contains Alcoholic Beverages, Adult Signature Required. 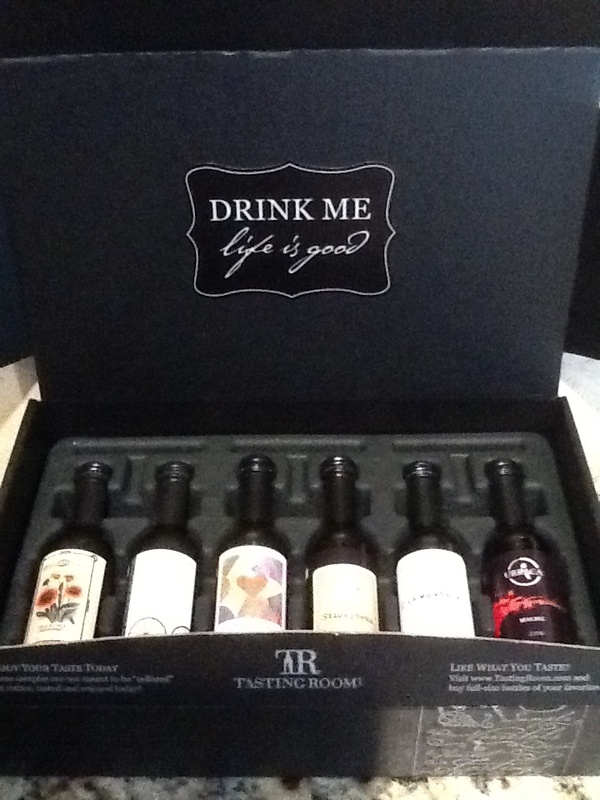 The box inside lid says in large print and two different fonts, “DRINK ME life is good” (see picture at top). On the lower box left insert is printed a note that the included samples are not meant to be cellared but enjoyed today. On the right insert, I see a web address and suggestion to buy full-sized bottles from Tasting Room. Smart packaging. I’m curious who the specific demographic is for this company. 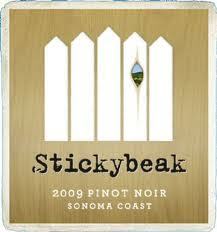 Stickybeak 2009 Pino Noir (Sonoma Coast) had a diluted ruby color with a nose of red fruit on the vine. The palate is gentle, fruity and acidic with raspberry, cassis and spice. I probably would not buy again at the listed price of $20/bottle on Wine Spectator, $15/bottle on TastingRoom.com or at the web price of $13/bottle- there are much better choices out there for less. 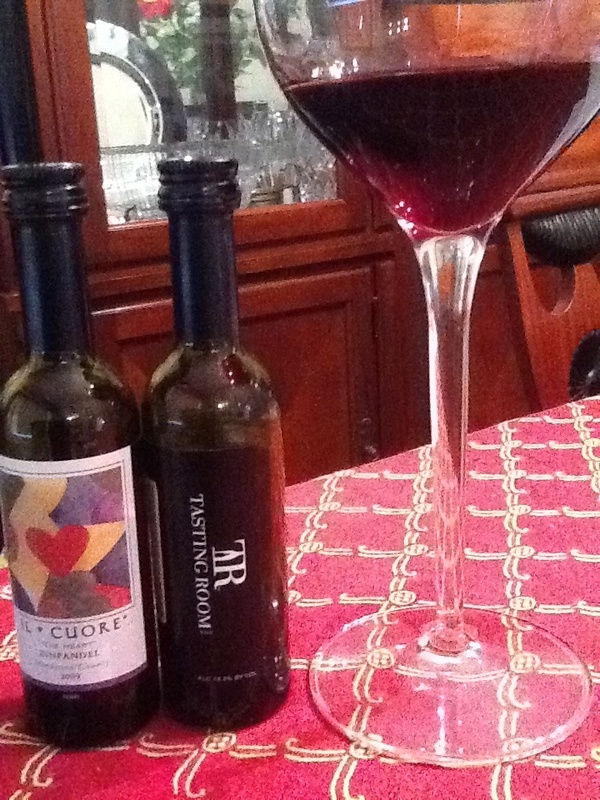 Il Cuore “The Heart” Zinfandel, Mendocino CA, 2009: Deep garnet color. On the palate: Black cherry, some plum, pepper and a note of wood (maybe redwood) on the abrupt finish. Tastes like part shiraz to me. Interestingly enough, after writing that I found the winemaker’s website and found this Zin is actually a blend of zinfandel and petite syrah grapes. Also the manufacturer lists their retail cost at $12.50, so it’s curious I’d find this online at $15.99/bottle by Tasting Room. Hmmm. Can you say ‘margin increase’, kids? I thought you could. So far, considering what I’ve tasted from Tasting Room, I’m not rushing to my local providers to see if they can order by the case. But at an average of $3.84 per 1.69 oz taste, it’s a less expensive way to taste. At the $18/six bottle set price, it’s not a bad way to try wines. But Tasting Room’s suggested retail cost of $35 per six bottle sampler, my gut response is that I would probably not partake unless there were specific bottles I really wanted to get my hands on. But YMMV, especially if you want to taste six wines for the cost of two decent glasses. Tasting Room currently has six bottle flights that cover specific wineries to a particular grape to a region or country and many more, including their take on “Hidden Gems” “Wine for Dudes” and “Premium Reds”. For the taster, the 1.69 ounce bottle is not a bad way to taste a reasonable amount of wine without over-imbibing (er, unless you foolishly drink all six bottles in one sitting.) TR does offer a “Super Flight” which includes two full-sized bottles at those additional prices, which might be of interest to some. Last but not least, is the issue I’ve skirted so far. The mini bottle as a wine bottle? OK, we’ve all seen or experienced half bottles, maybe even the tenth on an airplane. Given the change in mood regarding synthetic corks and screwtop caps, why not try the mini bottle as a wine storage device? Tasting Room says they have a ‘sealed, zero-oxygen transfer chamber’ in their Northern California. Interested? More on that here: http://www.tastingroom.com/articles/TASTE/A+Matter+of+T.A.S.T.E. JvB does remind you to drink responsibly, use a dedicated driver when drinking outside your home, and never drink and drive!